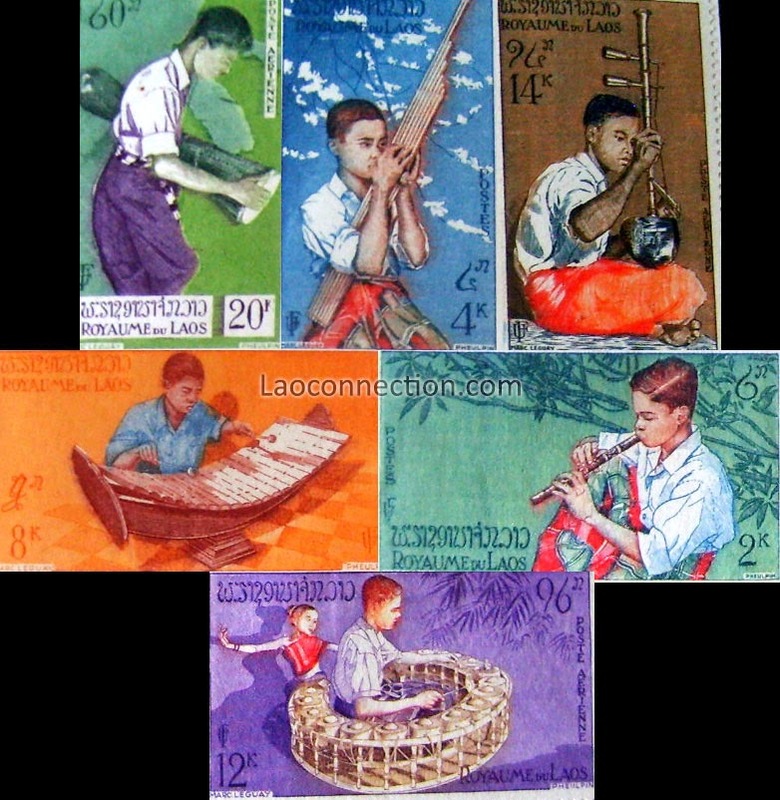 Pictures Above: Scanned from old Lao stamps in the 1950s and 1960s depicting Lao youth playing the variety of instruments. Likely drawn by artist Marc Leguay. 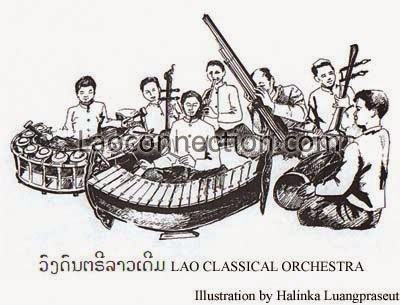 Picture Above: Scanned from the book Laos and Laotians by Khamchong Luangpraseut. Picture Above: Scanned from the book Kingdom of Laos edited by René de Berval.